My Pocket Jamie is here! 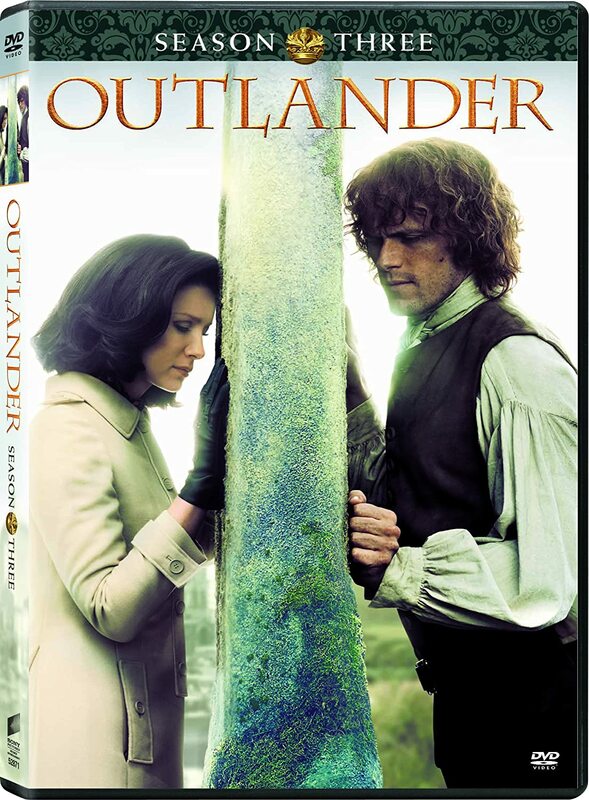 An article about the TV series...in Gaelic! How do you say Laoghaire and Geillis? Good news for Australian fans! Diana's account of her visit to the set! Getting ready for her acting debut! 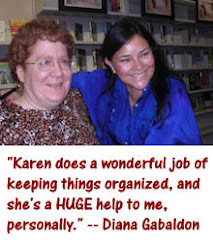 Diana Gabaldon visits the set of OUTLANDER! 1) Foot-binding was practiced in China until the early 20th century. Jamie snorted again. “Graceful, aye? D’ye know how it’s done?” And proceeded to tell me. “Yes, indeed,” he said dryly. “Her nanny will take the bandages off now and then to clean the foot, but puts them back directly. After some time, her wee toes rot and fall off. 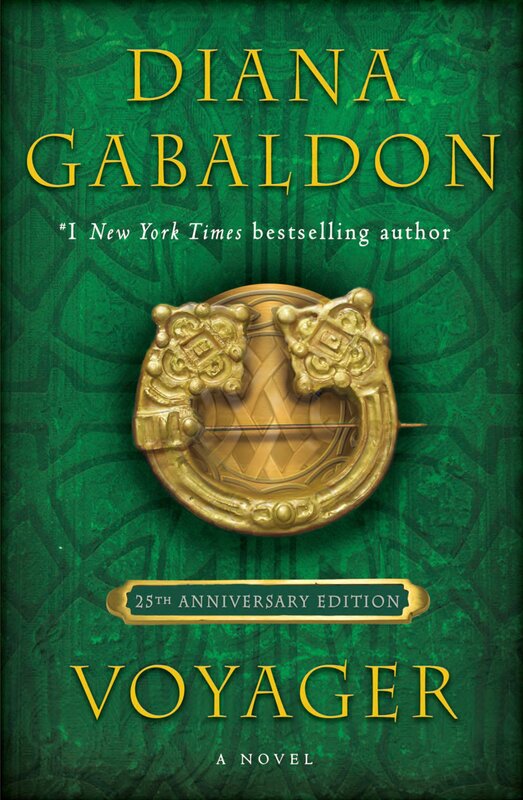 And by the time she’s grown, the poor lassie’s little more at the end of her legs than a crumple of bones and skin, smaller than the size o’ my fist.” His closed fist knocked softly against the wood of the rail in illustration. “But she’s considered verra beautiful, then,” he ended. “Graceful, as ye say." This X-ray image, from Wikipedia, shows how foot-binding alters the bone structure. This brief video from Reuters features a 93-year-old Chinese woman, now living in Malaysia, who had her feet bound as a small child. Here's an article in the Atlantic about the history of foot-binding. If you want to learn more about what it felt like, I would recommend Lisa See's novel, SNOW FLOWER AND THE SECRET FAN. 2) You may recall Lord John Grey's visit to the Royal Arsenal at Woolwich, England in "Lord John and the Haunted Soldier". This illustration shows what the Arsenal looked like around 1750. (Image credit: National Maritime Museum, London.) Click on the picture for a bigger view. Looking at this picture, it's very easy to imagine Lord John wandering around, dressed in his best army uniform. It was a long gallop from the laboratory, through a maze of smaller outbuildings and sheds, then into what Gormley--shouting to be heard above the noise of rain and hammering--told him was the Royal Brass Foundry, a large, airy stone and brick building, through whose archways Lord John glimpsed strange marvels: casting pits, boring machines, a gigantic beam scale large enough to weigh a horse...and a horse. Two, to be accurate, their wet flanks gleaming as they backed a wagon filled with barrels of clay and burlap bags of sand in through the high vestibule door. The photo above, from Wikipedia, shows the Royal Brass Foundry, which was established at the Arsenal in 1717 and is one of the few original buildings still standing. 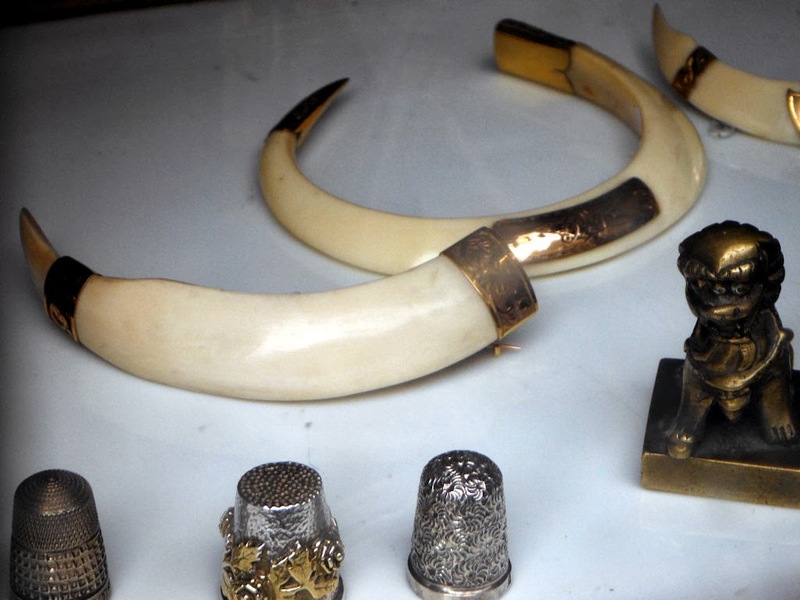 3) My friend Betsy Green saw these boar's-tusk bracelets in a shop window in Edinburgh during our trip to Scotland in 2012, and kindly gave me permission to post the photo here. Click on the photo for a bigger view. "Oh, those," she said, dipping into the box again. "I've never worn them; they don't suit me. But you could wear them--you're tall and queenly, like my mother was. They were hers, ye ken." They were a pair of bracelets. Each made from the curving, almost-circular tusk of a wild boar, polished to a deep ivory glow, the ends capped with silver tappets, etched with flowered tracery. "Lord, they're gorgeous! I've never seen anything so...so wonderfully barbaric." Jenny was amused. "Aye, that they are. Someone gave them to Mother as a wedding gift, but she never would say who. My father used to tease her now and then about her admirer, but she wouldna tell him, either, just smiled like a cat that's had cream to its supper. Here, try them." The ivory was cool and heavy on my arm. I couldn't resist stroking the deep yellow surface, grained with age. "Aye, they suit ye," Jenny declared. 4) This photo, from the Phoenix Herb Company, shows what willow bark looks like. I merely shook my head politely, and knelt by the trundle to administer the brew to Ian. He felt well enough to make faces and complain about the taste, which I found reassuring. Still, the headache was obviously very bad; the line between his brows was fixed and sharp as though it had been carved there with a knife. The leaves and bark of the willow tree have been mentioned in ancient texts from Assyria, Sumer and Egypt as a remedy for aches and fever, and in Ancient Greece the physician Hippocrates wrote about its medicinal properties in the fifth century BC. Native Americans across the Americas relied on it as a staple of their medical treatments. It provides temporary pain relief. Salicin is metabolized into salicylic acid in the human body, and is a precursor of aspirin. Want to brew your own willow bark tea? Look here and here for step-by-step instructions. 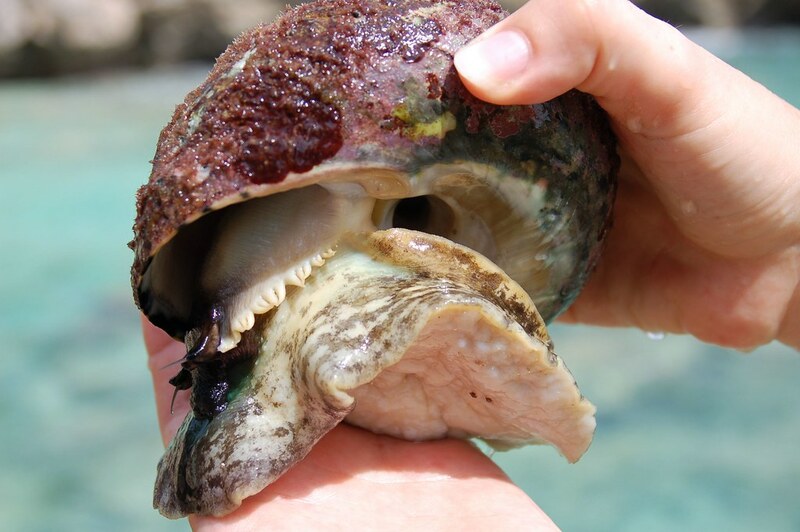 5) This is Cittarium pica, a type of whelk found in the Caribbean. (Photo credits: top: Wikipedia; bottom: UCMP, on Flickr.) Also known as the West Indian top shell, this particular species is one of the most important invertebrate species in the Caribbean. Unfortunately, these whelks have become extinct in some areas due to over-fishing. We had been gathering whelks from the rocks in a shallow pan. [Annekje] seized this, dumped out the whelks, and filled it with seawater. Then, laying it on the sand, she motioned to me to watch. She stirred the water carefully, in a circular motion, then lifted her finger out, stained dark with the purple blood of the whelks. The water continued to move, swirling past the tin sides. 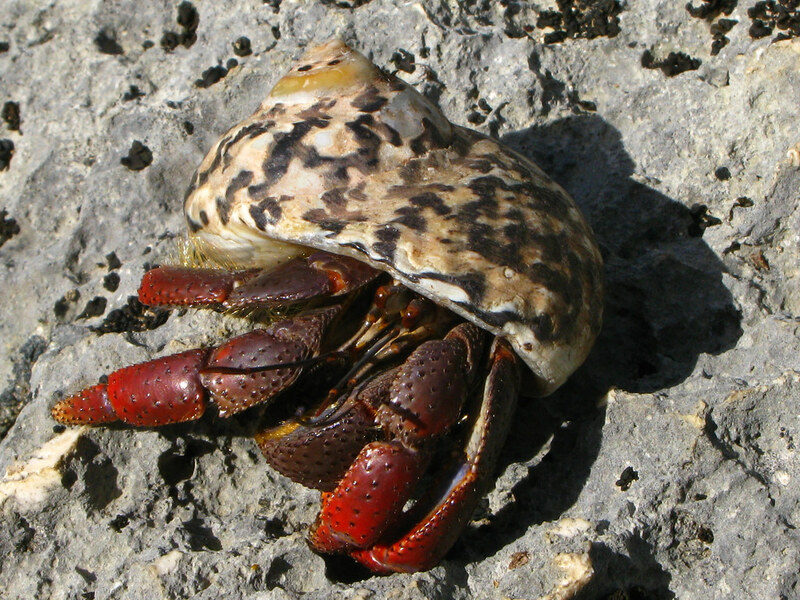 This photo shows a Caribbean hermit crab living inside a Cittarium pica shell. (Photo credit: Alan Cressler, on Flickr.) You can see more photos of whelk shells here. For more information about whelks, look here and here. I hope you enjoyed these Friday Fun Facts! 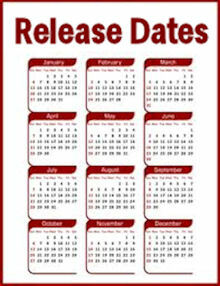 Look here to see all of my Friday Fun Facts blog posts. Wishing you all a wonderful Valentine's Day, and please come back next week for more! 6.16 am!! Karen do you stay up all night doing this for us. Really enjoy your Friday Fun Facts. Thank you. Very interesting articles on foot binding. Thank you!